This is a wonderful news. Whosoever thought of this concept should be appreciated. I wish to participate and avail this wonderful facility. 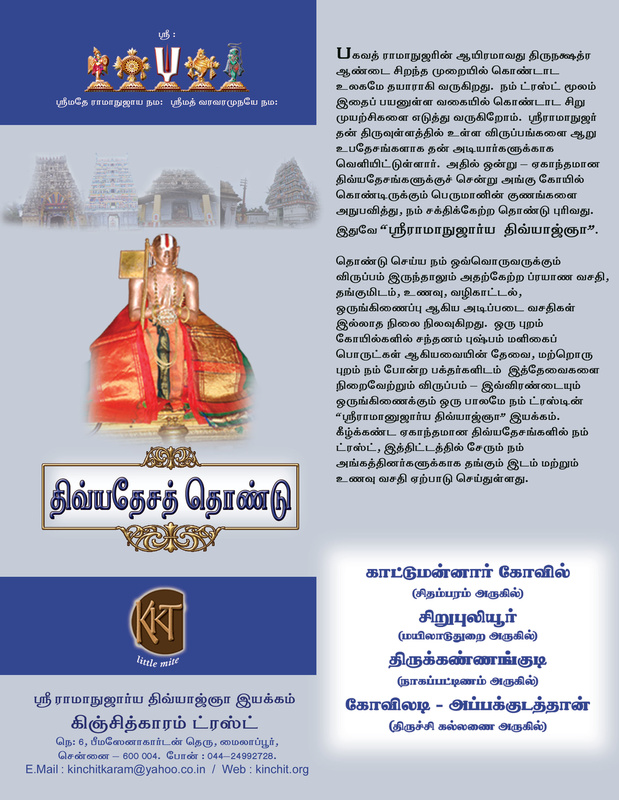 Credit goes to the Kinchitkaram Trust & Sri Velukkudi Krishnan Swamy.